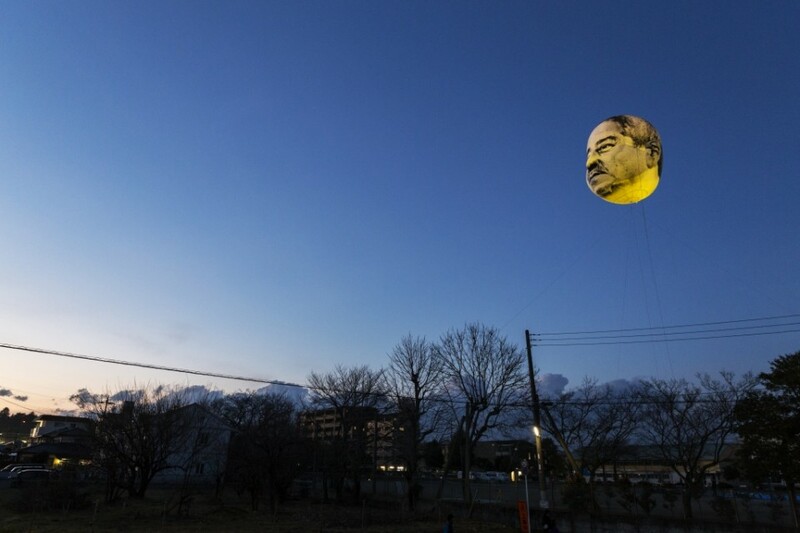 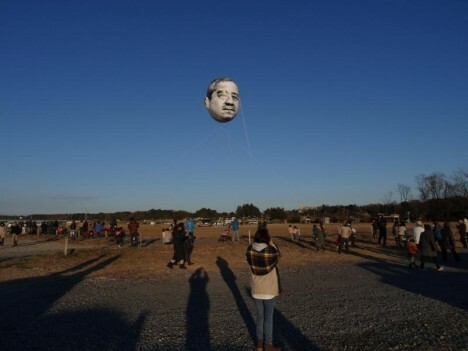 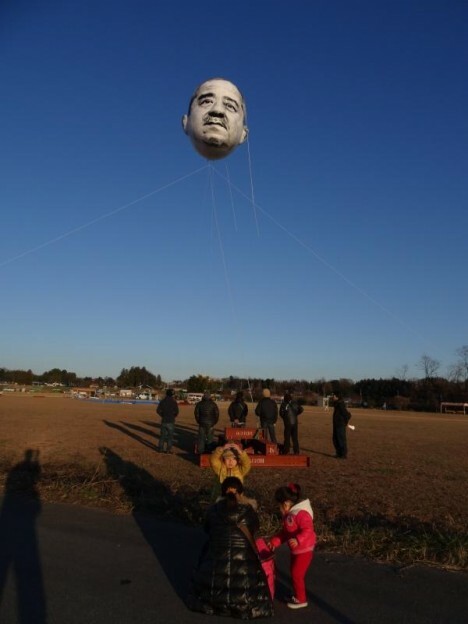 A bizarre art installation based on a dream saw a 50-ft tall balloon become a bizarre “Man In The Moon” as it rose above the streets of Utsunomiya, Japan. 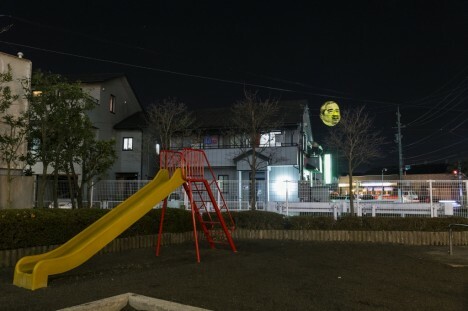 Residents of Utsunomiya, a smallish city roughly 60 miles (100 km) north of Tokyo, Japan, experienced the shock of their lives on the evening of December 13th, 2014 when they espied the full moon rising over the horizon. 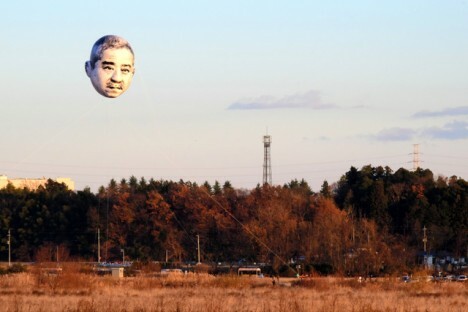 No doubt dozens of necks suddenly snapped in a group double-take as residents suddenly realized that’s no moon… it’s the enormous inflated head of one of their neighbors! 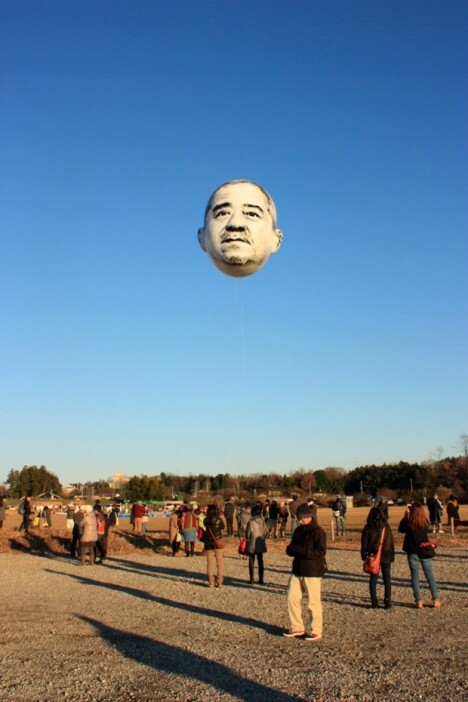 Give credit to Japanese art trio Me (in collaboration with the Utsunomiya Museum of Art) for the uniquely unusual “Ojisora” project, an artistic effort spanning over two years from conception to realization. 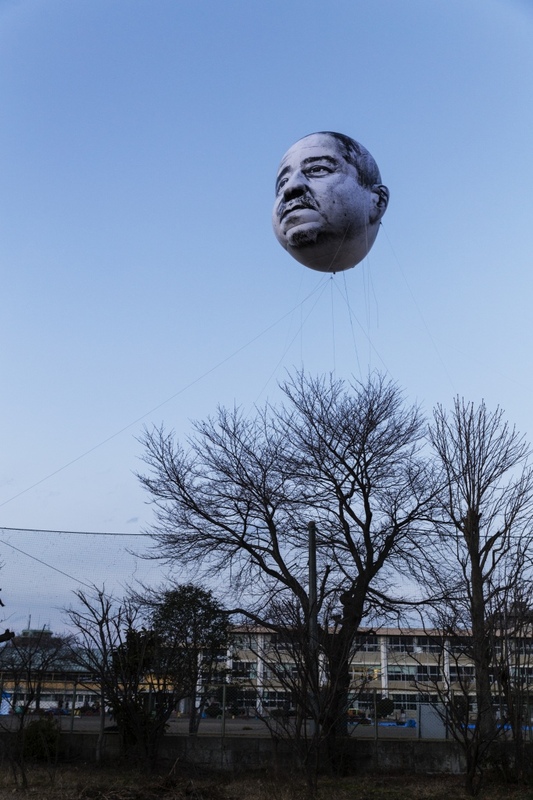 Its origin rests with one of the three artists, Haruka Kojin (above, right), who as a junior high school student dreamed of an old man’s grossly enlarged and disembodied head floating over town and country . 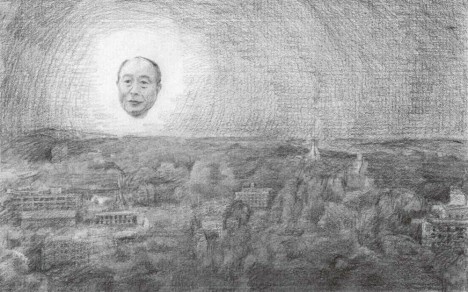 Upon awakening from her dream, Kojin quickly sketched her recollection and then just as quickly forgot about it. 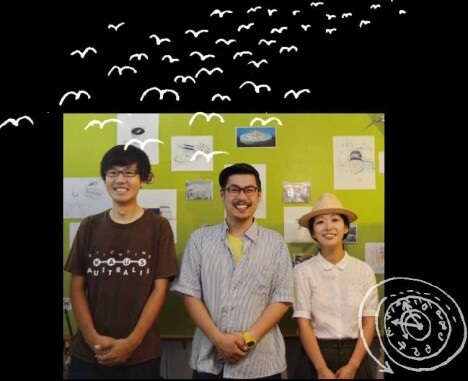 Many years later, she came across her sketch and wondered… was there some way to recreate her dream in real life? 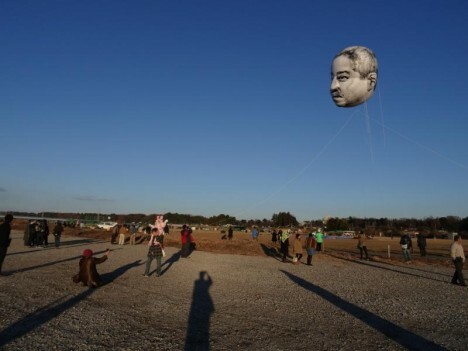 After consulting with her two co-artists and with the support of the Utsunomiya Museum of Art, Kojin took the first step towards realizing – and sharing on a mass scale – her odd dream from so many years before.